As a purchaser or buyer, we know exactly what you're looking for. dilitronics delivers - we're fast, punctual, and ready to get to work. 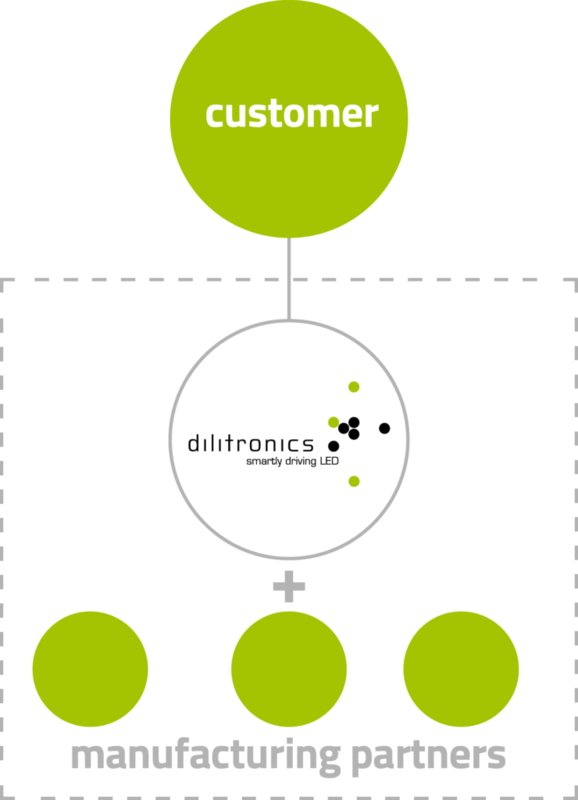 dilitronics frees up your core business, reliably and flexibly facilitating the manufacture of your product. As you need it, when you need it. If any changes or technological developments occur during your project, we’ll update everything for you; with no extra effort on your part, you receive the most up-to-date product possible. Always. Smart Manufacturing allows us to virtually process manufacturing via several different partners. This means that your project is carried out flexibly, quickly and free from bottlenecks.